You’ve Paid Off the Mortgage. What Happens Now? Congratulations! 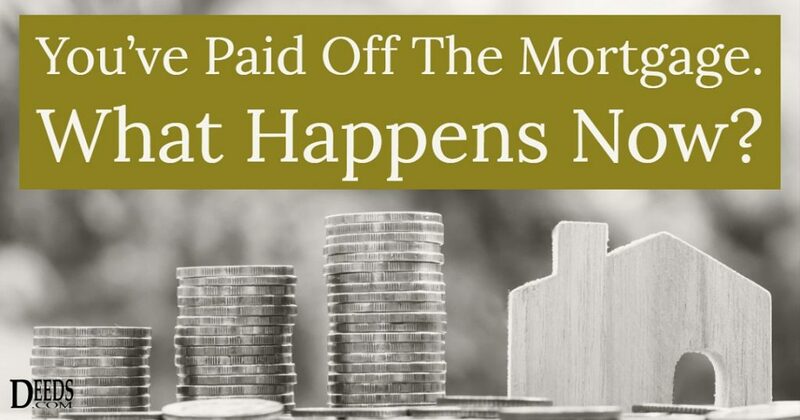 Paying off a mortgage is an impressive milestone. Now that you have paid off all the debt on your property, your home state’s law will direct your lender to take certain actions. The lender will send you a certificate of satisfaction. This certificate, which the lender records in your home county, notifies the public that you have satisfied your obligation, and the lender has removed the lien from your property. A few details of this process depend on what state your property is in, and whether your debt was secured through a deed of trust.